Actress and model Cynthia O'Neal was living her dream life—married to the famous stage and screen actor Patrick O’Neal, the mother of two young sons, resident of the Dakota downstairs from John Lennon, owner of the successful Ginger Man restaurant, and frequent guest at dinner parties with Leonard Bernstein and Rudolf Nureyev. Then she changed course suddenly, surprisingly, and completely. The AIDS epidemic hit the arts community hard, and after seeing the multitude of people facing an unfamiliar and stigmatized disease completely alone, Cynthia walked into the fray. With the support of longtime friend Mike Nichols, she founded Friends in Deed and soon found herself spending her days in hospitals, cramped rooms, and dirty apartments, anywhere a patient needed a hug, a hand held, or confidence boosted. And when Patrick himself became ill and passed away in 1994, Cynthia had to work through her own grief instead of someone else’s and found her life transformed again. 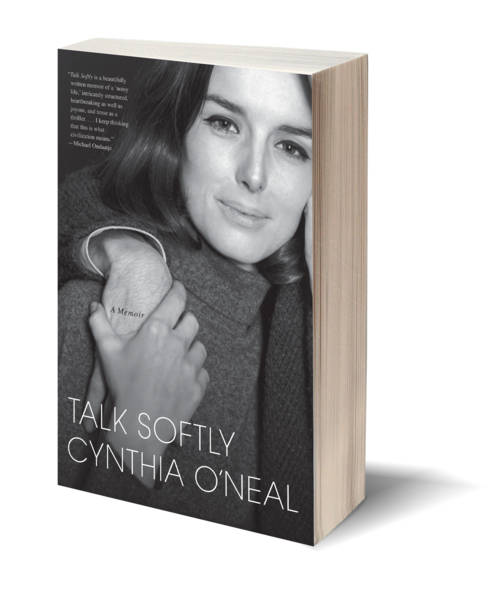 Talk Softly is the story of a life well-lived—with passion and compassion, in celebration of the joy of each moment, and with the ability to surprise yourself when you least expect. Born in Los Angeles, Cynthia O’Neal has modeled and appeared in several major motion pictures, including Carnal Knowledge and Primary Colors. 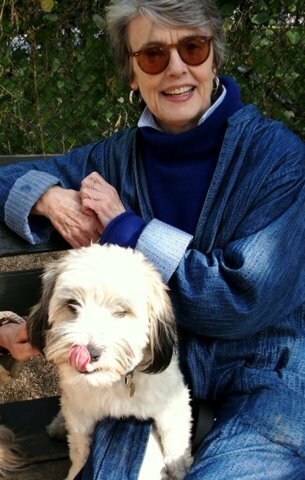 In 1991 she founded Friends in Deed: The Crisis Center for Life-Threatening Illness, which has helped transform many thousands of lives by providing emotional and spiritual support for anyone diagnosed with HIV/AIDS, cancer, and other life-threatening physical illnesses—all free of charge. O'Neal currently lives in New York City.